Maxim Gorky is a writer I have a hard time relating to. Solzhenitsyn’s condemnation of him as someone who turned a blind eye to the Red Terror was an enduring blow. 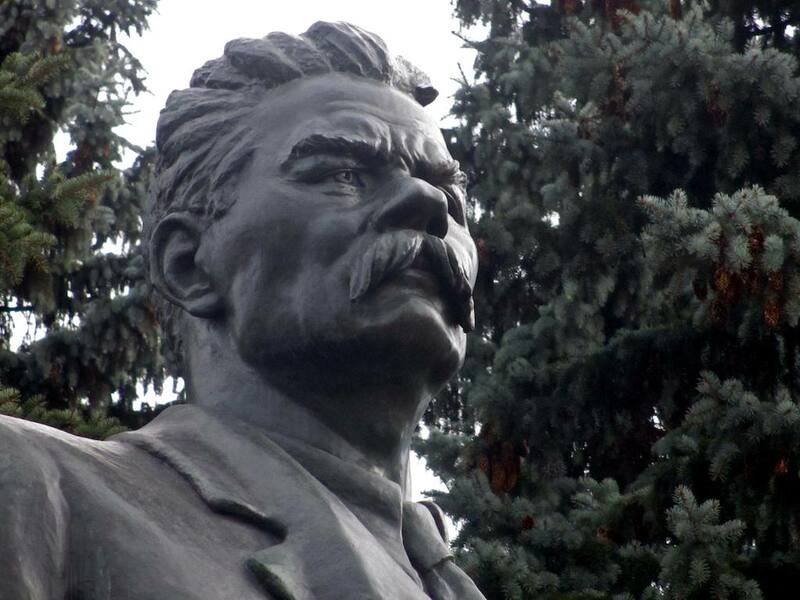 Gorky did not see a lot of violence and perfidy, or he chose not to see them. Either way, he was too big a figure, too famous, too smart, too talented, too well-connected to allow himself such an egregious error. In his favor, I am being one-sided. He supported young talent and came to the defense of many who were in trouble. 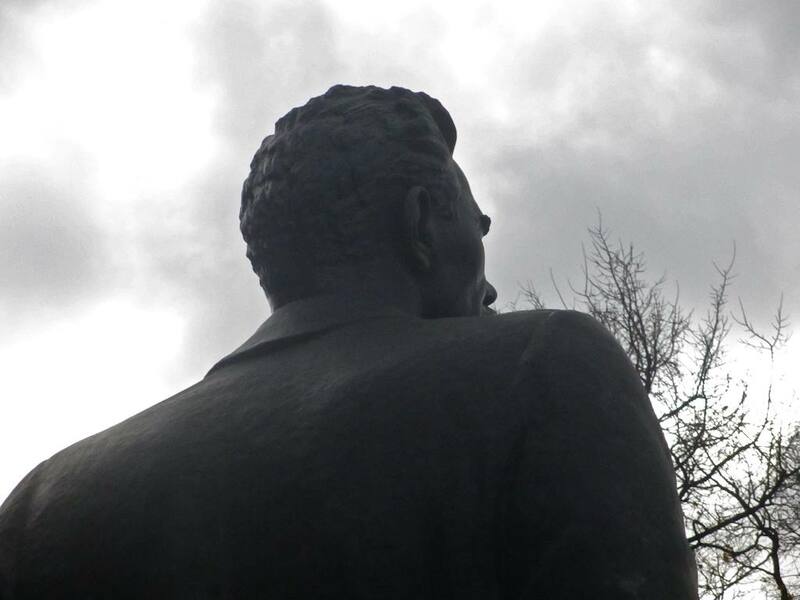 Surely he will always remain a paradoxical figure in Russian-Soviet literary history. Gorky’s literature is another thing. 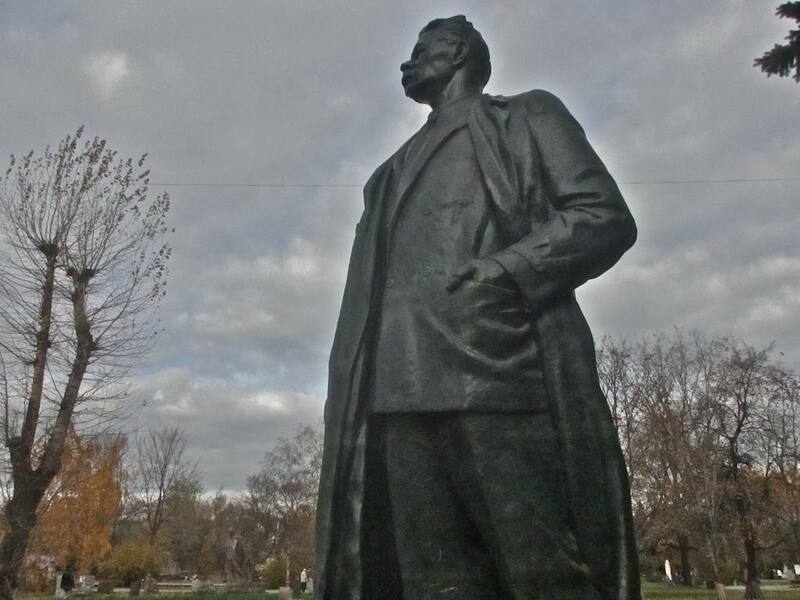 He was held up during the Soviet period as a sort of Soviet Tolstoy and his stature as a cultural giant, though somewhat diminished, continues today. I’ve always found him to be a royal bore. It seems to me that he has all of Tolstoy’s pretensions to greatness, but none of the greatness. His most famous play The Lower Depths – still frequently staged today – strikes me as a pack of cliches about workers, intellectuals and lowlifes. His much better Summer Folk is, in fact, a rip-off of Chekhovian devices, but without the lightness or wit of Chekhov. His Ostrovsky-inspired family sagas – such as The Petty Bourgeoisie or Vassa Zheleznova – can be very powerful in the hands of a good director. I’ve never been able to stick long with his novels, famous as some of them are – Mother, The Life of Klim Samgin and others. The monument that now stands behind the House of Artists on Krymsky Val is one of hundreds of “abandoned” sculptures that make up the Muzeon Park, or, as it is sometimes known in English, the Fallen Monuments Park. 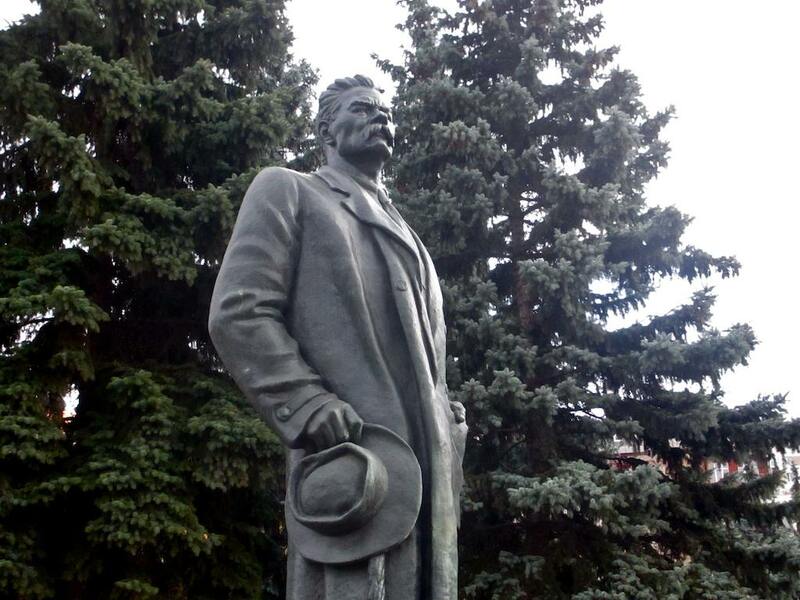 Gorky stands here rather ignominiously stuck up against some trees not far from old statues of Joseph Stalin, secret police chief No. 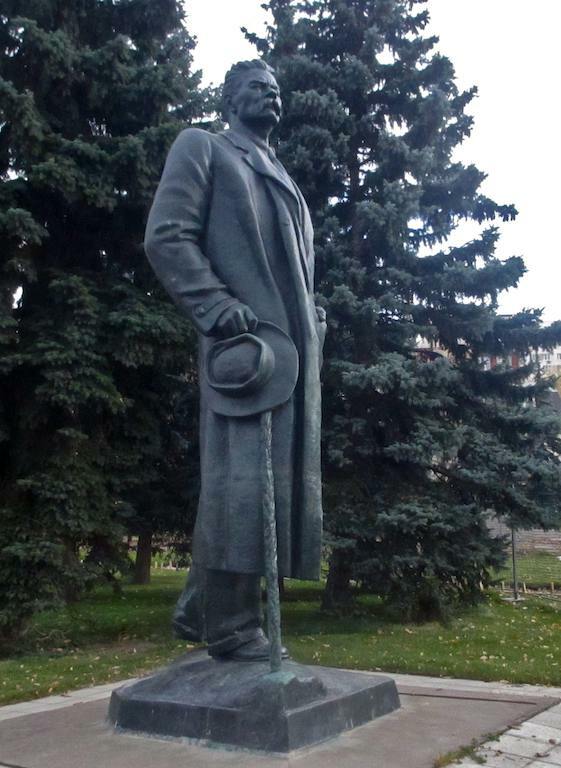 1 Felix Derzhinsky and other politicians whose reputations have suffered in recent years. 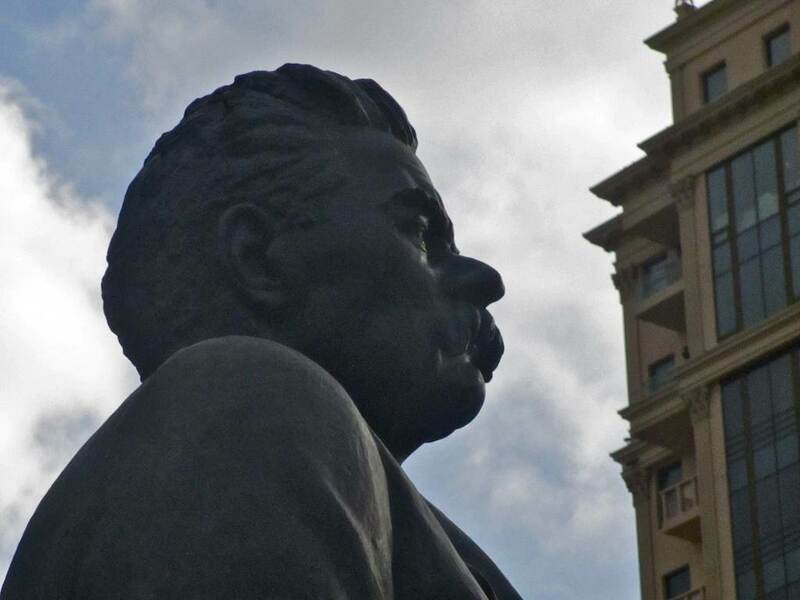 Gorky, who used to stand in the plaza before the Belorussky Train Station, ended up here for a different reason. The plaza and everything around it was dug up in 2005 to begin reconstruction of roads and intersections in the area. Nine years later the construction is still going full force and Mr. Gorky – if there ever were any plans to return him to his proper place – still stands in the Muzeon Park. This monument, an impressive one no matter what you may think of the man or his writing, has a curious history. 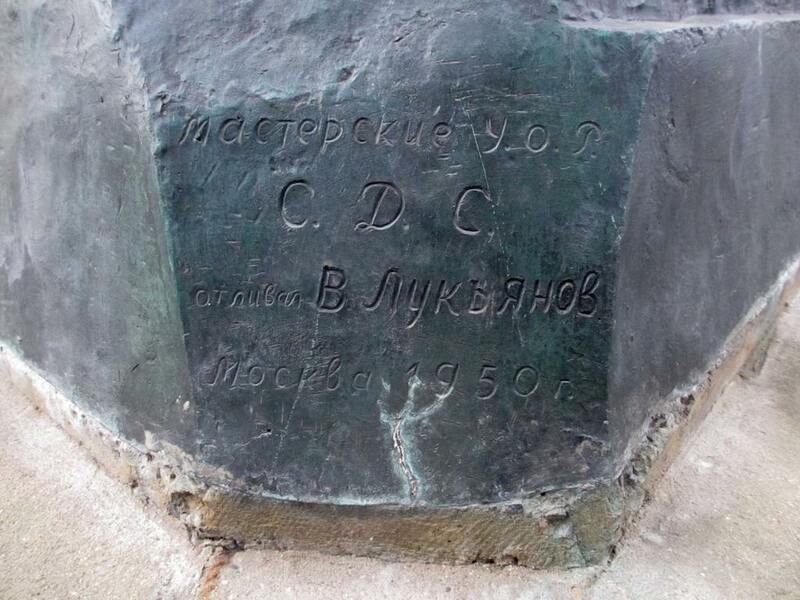 It was designed by sculptor Ivan Shadr in 1939, three years after Gorky’s death, but was not completed until 1951 (10 years after Shadr’s death) by sculptors Vera Mukhina and Nina Zelenskaya.